The Pantry, operated by the Associated Students, opens its doors at noon in the basement of the university’s Freeborn Hall. Students flash school identification cards and get their choice of three food items, such as bread, peanut butter or soup. A recent survey of UC Davis undergrads found almost 25 percent “somewhat to very often” skipped meals to save money, and another 25 percent “occasionally” skipped meals for the same reason. California’s higher education system is under siege with the recession and state budget deficit tearing into services and sending tuition and fees skyrocketing at an alarming rate. The trend is eating away at California’s branding of affordable, quality, public education and its legacy of a highly trained work force. At the ground level, the classroom cuts and fee increases mean financial hardship for students: taking on more debt, dropping majors and minors, delaying graduations or spiking dreams of college education altogether. While college diplomas are deferred or dashed, students take longer to become workers and pay less in taxes if they get a lower-paying job. As students scramble for fewer classes in their concentration and competition remains high for spots in some state-funded schools, many students are turning to private, for-profit universities and vocational schools, where they are promised classes in their field, a quick turnaround and job placement. Meanwhile, the trend toward costly college tuitions and student debt has sparked a national debate over whether conventional postsecondary education is worth the money. State officials and legislators argue California’s public colleges and universities are still among the best value in the nation, but there’s no question students and their families are shelling out dramatically more in tuition at state-funded schools. The state budget approved in June slashed another $150 million each from the California State University and University of California systems, on top of $500 million cut from each system earlier in the year, for a total reduction of $650 million for each so far this year. The newest round of state reductions represents about 22 percent of the UC’s total general fund budget and about 24 percent of the CSU general fund. The budget also created a trigger mechanism that would cause more cuts in December if state revenues fall below projections, raising the specter of further tuition hikes at year’s end. At the CSUs, total cost for a full-time student went from $3,521 a year to $5,834 over the previous three years, and the UCs went from charging $7,517 a year to $12,150. 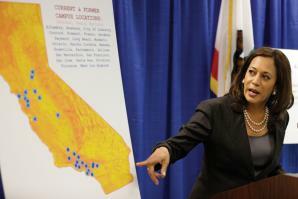 Since 2007-2008, California community college tuition went from $20 a unit to $36 per unit. Mike Uhlenkamp, spokesman for the CSU system, says late budget approvals and the volatility of the economy has wreaked havoc on planned enrollment and services at state colleges. He said 2007-2008 was the last year of predictable funding with the state contributing $2.97 billion to CSUs. Then the state cut more than $600 million over the next two years, dropping the state funding to $2.35 billion. This year, some stimulus funds restored parts of the CSU budget, bringing the state contribution to $2.77 billion. Future budget cuts, however, could lower that considerably, he says. That year, CSU staff was forced to take unpaid furloughs two days a month, saving $170 million, Uhlenkamp says. “We’re still turning over every stone to keep up the quality of the institutions while saving money,” he says. Marty Block, assembly chair of the higher education committee, says increases in costs of textbooks and student health care, along with rising salaries is partially to blame for the economic crunch in state-funded colleges and universities. Many students are turning to private, for-profit universities and vocational schools, where they are promised classes in their field, a quick turnaround and job placement. But the real culprit is simply the recession. The toll on students is obvious and direct, Block says. Block says typical students use more state funding than they provide while in school, so it behooves the state to get students through on time. He sees higher education students as an investment for the state, which, in his view, should pay for students to get their education in hopes of collecting higher taxes for years to come. Forty-five of 50 states are seeing significant increases in tuition fees, Block says, and California’s community college tuition is still the lowest. A study by student-aid websites Fastweb.com and FinAid.org shows that college tuition nationwide is rising at an annual rate of about 5 percent. The average amount of debt taken on by college students graduating in 2011 will be the highest ever at $22,900 per student, an 8 percent jump over last year’s debt. The Federal Reserve Bank of New York reported that U.S. student debt totals $530 million, and interest rates on many student loans can be as high as subprime mortgages. When compared to student debt rates a decade ago, the current rate is up 47 percent, adjusted for inflation. Still, the study found that college is a good investment for students and their communities. The annual pretax income of households headed by people with at least a college degree outpaced those with lower levels of education by 101 percent. 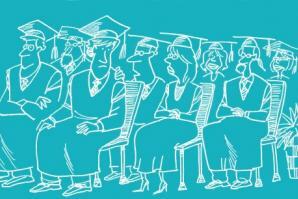 The recent unemployment rate for college graduates was 4.5 percent, compared to high school graduates at 9.7 percent. If left unabated, however, budget cuts and tuition increases will start to unravel the mission of publicly funded schools, Block says. One of the silver linings of the recession has been an uptick in enrollment at private, for-profit postsecondary schools, Block says. The quality and impact of the higher cost of education at some for-profit colleges is still unknown, he adds. Block says teaching methods at for-profit schools, particularly online schools, may not fit the learning styles of all students and called on the state to better monitor performance and the debt load for students attending for-profit schools. Bob Eoff, territory vice president for University of Phoenix, says total enrollment at the for-profit college system is growing slightly, but it’s also been stalled by the effects of the recession. More dramatic is the steady increase in transfers from community colleges over the past decade, Eoff says. In the 1996-1997 academic year, the number of California community college students transferring to University of Phoenix was 2,190, and in 2008, that figure had skyrocketed to 8,825 students. A recent study by Los Rios Community College District indicates many local community college students are transferring to private or out-of-state institutions rather than state-funded schools. In 2009-2010, 2,222 students transferred to UC or CSU schools, while 3,212 transferred elsewhere. District officials cited the state cuts in funding and enrollment as reasons students were finding alternatives. Eoff says alternatives to state-subsidized college educations are crucial to the growing demand for a highly trained work force. In 1950, 20 percent of jobs required a bachelor’s degree or higher; today, 60 percent of jobs require a four-year college diploma, he says.